I got a few questions on some of my previous posts about affiliate links. Though difficult to get your head round at first, it’s like riding a bike once you get the hang of it and you’re pretty much earning from something you already do . . soooo why would you not use them? 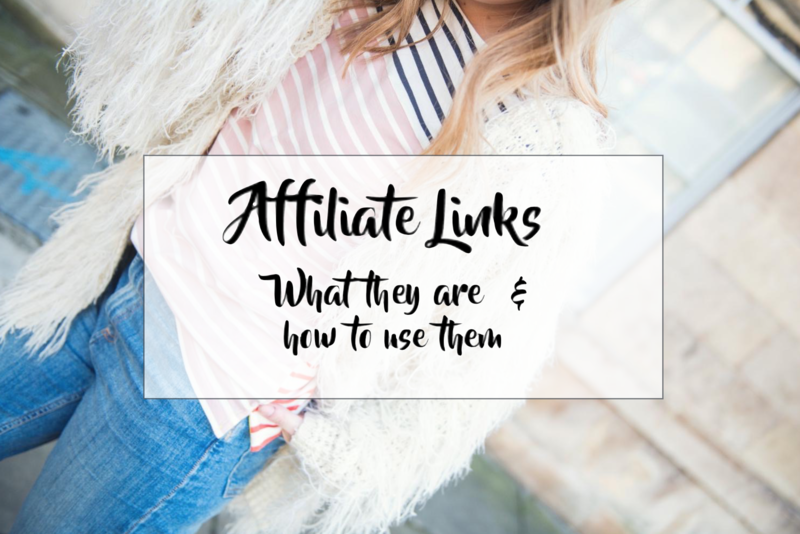 In this post I’ll be giving you a lil’ run down on what affiliate links are, effective ways to use them and what companies you can use affiliate links through. First thing’s first, if you don’t know what an affiliate link is, or you’re a blogger that isn’t using them then you are missing out my friend. Basically, an affiliate link adds tracking to allow the retailer to see that the sale has come from you and your site giving you a small percentage of commission on each sale. As fashion bloggers, we’re constantly suggesting products and telling people where things are from, so why shouldn’t we make 10p for a sale every now and then? If you bought something from a store, often the sales assistant would get commission so surely it’s only right that we get something for all of our hard work?! How Can You Use Affiliate Links? Widgets – There’s lots of little widgets you can use like the one I’ve created belowfor this outfit. It allows you to shop the products from the store images, a more visual way of shopping the look than just written links. 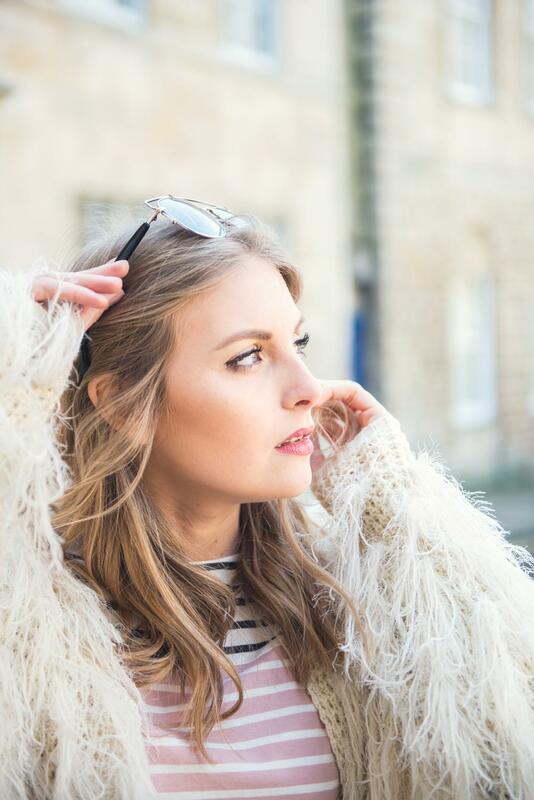 Online Shops – You can also create ‘shop my look‘ pages or ‘shop my wardrobe’ which personally I love on other peoples blogs as it gives you inspo when you want to shop but don’t know where to start! I’m actually thinking of creating one for my site so let me know what you think and if it’s something you’d like to see! I’ve listed below the companies you can use to create your affiliate links, I personally use Reward Style. It’s not the easiest affiliate scheme to get on to as they don’t accept everyone but from the few I’ve tried it’s the easiest and most effective scheme. As I said before, I use Reward Style. The main reason I wanted it was because of the liketoknow.it feature – I’ll teach you about that in just a moment. Once signed up I’ve discovered just how amazing it is for other bits and bobs; you can create your own shop, make clickable mood boards and there’s plenty of widgets for in your posts and on the side bar of your blog. Basically, I save everything I own into a little folder of links, then whenever I post to instagram, I select the pieces featured and post alongside a unique code. 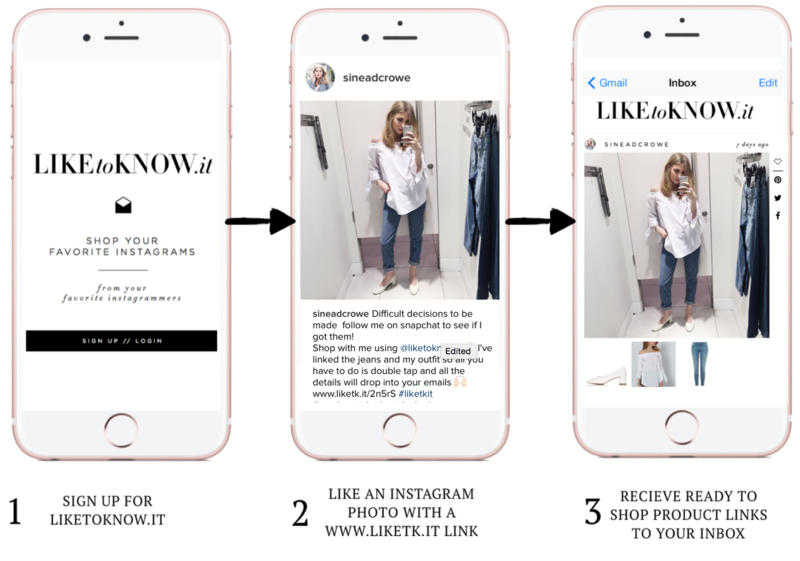 This code then triggers the liketoknow.it platform which sends you an email with clickable links whenever you like a picture which is liketoknow.it enabled! If you’re signed up of course! In short, sign up, like my picture, get links. 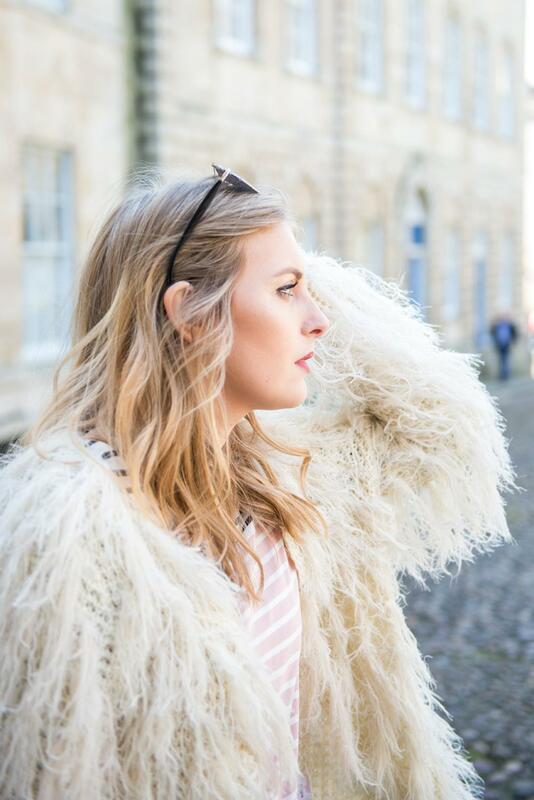 Before I had my own blog I loved using this for other peoples Instagrams because it’s so much easier than having to ask what someone’s wearing 10,000 times and you can totally copy them on the down low and they’ll never know. . perfect! You can sign up here and I’ve done a little demo of how it works below! I know this is a super duper long post but I just wanted to talk about the outfit for a moment! I love this relaxed look with all of the soft loose shapes and pastel colours. It’s the perfect throw on outfit for style and comfort and I can’t get enough of the pink stripes on this Boden top! Who would have thought I’d be wearing pink and trainers?! And baggy jeans!? My style is changing all of the time and I’m so over skinny jeans at the moment! 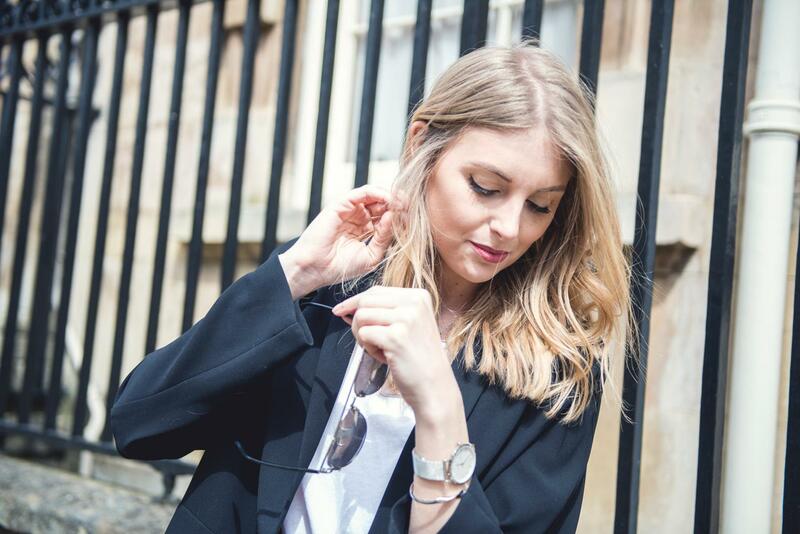 Don’t forget to follow me on Bloglovin‘ to stay up to date with all of my latest posts! I would love it if you did! You can also now find me here on youtube and to be the ultimate stalker, you can find me on snapchat and Instagram under the username sineadcrowe! Ready, set, stalk! Want to know more blogging tips?! I have a whole category here, including how to boost your Bloglovin following in 5 easy steps! No problem hun! I hope you can put the info to good use! This was really helpful. I kind of new the basics of affiliate links but this has helped alot. I don’t see why bloggers shouldn’t make a small percentage and I don’t get why some bloggers think it’s wrong. Exactly, I know people think it’s like sneaky selling but it’s really not! Brilliant post! I’ve always been intrigued by affiliate links but as I haven’t been a hundred percent sure of how they work I haven’t tried them. Definitely going to look into it a little more now. They seem like a great way to earn a few pennies here and there, and liketoknow.it definitely seems like a handy tool for fashion bloggers. But I’ve seen quite a few people include affiliate links in their Tweets like “20% off ALL tops on ASOS GO GO GO *insert affiliate link*” and I’m not sure how I feel about that. The way you and other fashion bloggers use them in posts is great, like you said, just as retail workers earn commission bloggers should earn a little something too! Exactly! we’re effectively selling clothes for them! It is but once you get the hang of it it’s SO easy! This is really handy. I am signed up to a programme but i dont make much use of it currently! I think I need to ! You definitely do! You’re missing out! You really do! It’s so easy to use once you get the hang of it! Have a look it’s really good and easy to use! This was so interesting to read, i think I might sign up to one of the programs that you suggested. I have never really thought about affiliate links before. oh babe you definitely should!!! Hi lovely! Thanks so much! I actually have them as a widget via my affiliate reward style!